Zombie Vicar fancy dress costume from a Real Plus 18-40. 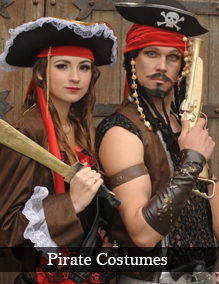 This costume is made to order so please allow a minimum of 3-5 days for delivery. If needed sooner than this please phone first. 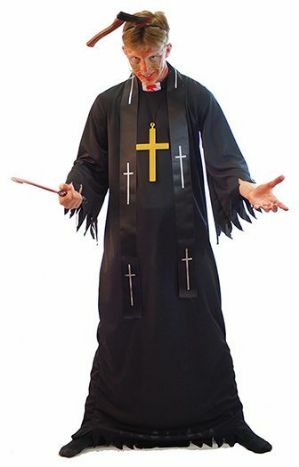 Zombie Vicar costume includes a ragged black cassock with vicar neckline and black neck ribbon decorated with crosses. Also includes gold cross, knife through head and plastic weapon.